It goes without saying that people feel demotivated and do not have the urge to work if you provide a poor, unhygienic work environment. Go Green Cleaning offers office cleaning services and commercial janitorial services in Nashville. A clean office space allows your employees to work harder and faster. To achieve that, we collaborate with you to make your office organized and spotless. Our team of cleaning experts have been working in this domain for several years now. For efficient results, we visit your office to analyze the current situation. Once done, we recommend a solution that will not only clean your office, but make it look organized. An organized work environment is an ideal environment if you want to achieve results. 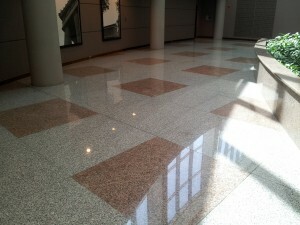 The Office cleaning services in Nashville provided by Go Green Cleaning also improve customer interest! Like employees, customers would not want to do business with companies who do not consider hygiene as their priority. At Go Green Cleaning, we believe that our business’ success lies in our customers’ business success. Therefore, we strive hard to ensure we keep your employees and customers happy. Schedule an appointment with us today for a free estimate. We guarantee not to disappoint you!